 Are you ready to take the next step in your cello playing? 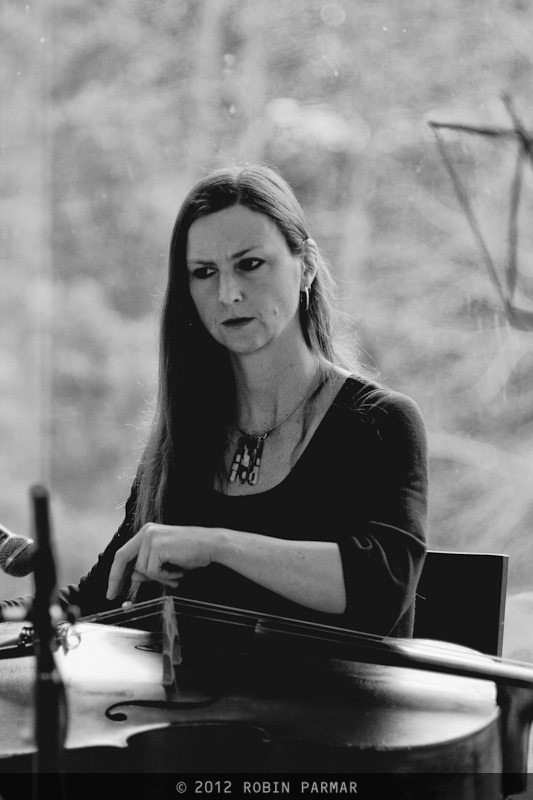 I am pleased to announce registration is now open for my Irish Cello Retreat. 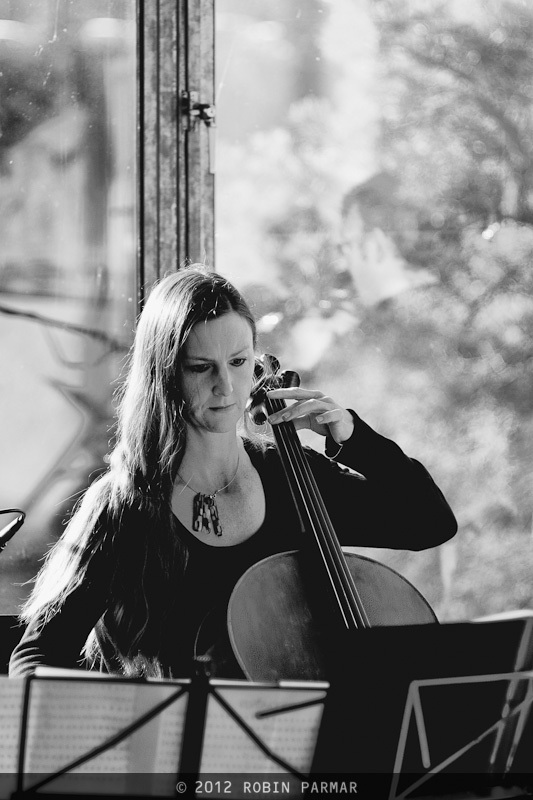 Treat yourself to a powerful and relaxing retreat with your cello. Through Irish music you will discover the way to bring true ease into your playing and at the same time develop your technique and expand your repertoire. Give yourself a gift this year and come and enjoy beautiful days in a gorgeous seaside hotel in Ireland while exploring Irish music. I am very excited about this event. I have been preparing six powerful workshops for you and I look forward to meeting you all. We have a great a place to work, delicious food, and some very special guests. This entry was posted in Events, workshops and tagged irish airs, irish cello, retreat, workshops on March 12, 2018 by ilse. The past week has been a whirlwind of epic events. First big news, I had my results today… I completed my Masters in cello performance with a first class Honours. It was a great experience to do the course and wonderful that it is now complete! For my final MA concert I played the fabulous Khachaturian Cello Concerto with the City of Cork Symphony Orchestra in a sold out concert. 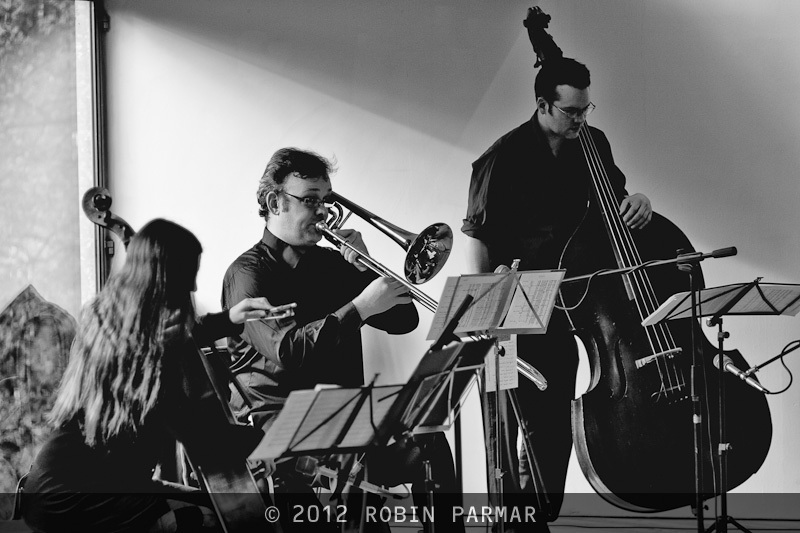 I’m hoping to play it again somewhere, it should be played more often! I wrote my own Cadenza which I will share on YouTube soon and make the sheet music available. And on the topic of the CCSO, of which I am also principal cellist, we played with Katherine Jenkins and Jose Carreras on the 20th June in Independence Park, Cork. Solo cello was featured in a few numbers, but particularly a big cello solo part for The Godfather theme, or Parla Più Piano when sung in Italian. It was powerful playing that emotive melody across a stadium, with the Stars accompanying me! 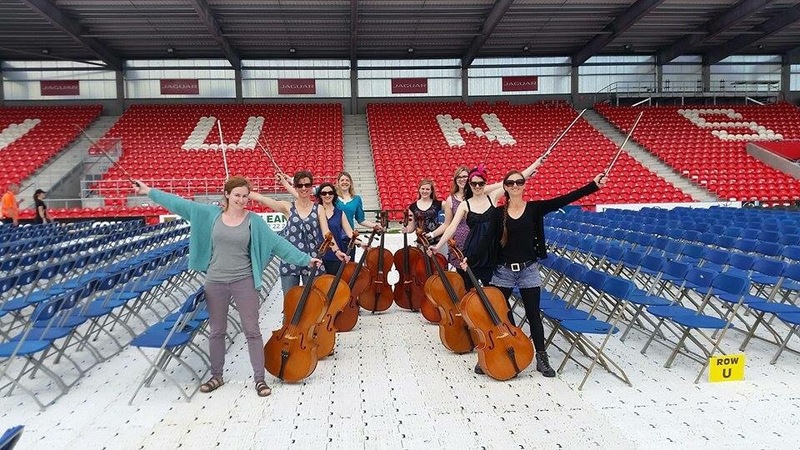 We have an all women cello section! Also this week I was appointed Musical Director of the DustBusters Light Orchestra. 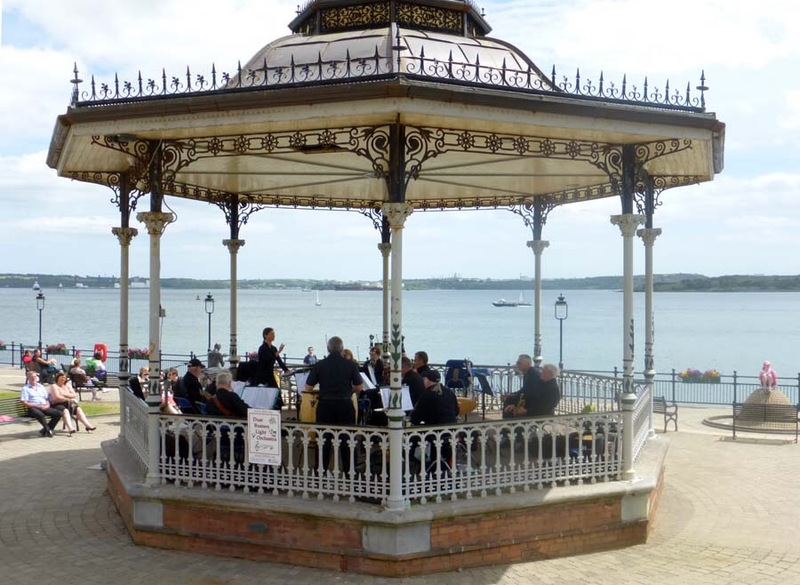 It was baptism of fire, conducting the first concert in the Cobh bandstand on Sunday, without having met them all yet! But it was wonderful and they sounded great on the balmy summers day by the harbour. Kids were waving their arms about copying me conduct, and people were waltzing. 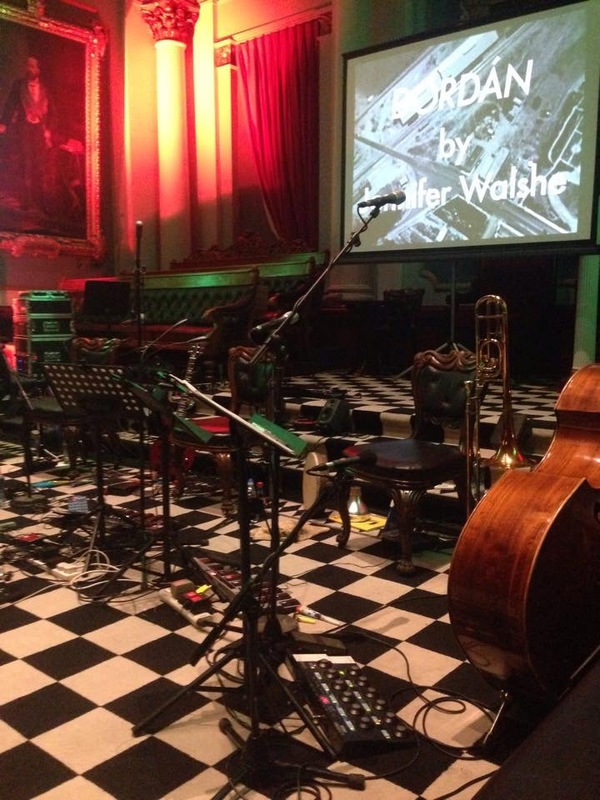 Last night was yet another highlight of the week, my contemporary music band the Quiet Music Ensemble played in Dublin in The Freemasons’ Hall. Incredible building, with many ‘chapels’ and meeting rooms, each decorated in a fancy manner! Here we are set up ready for the concert in the main room with black and white checked carpet! 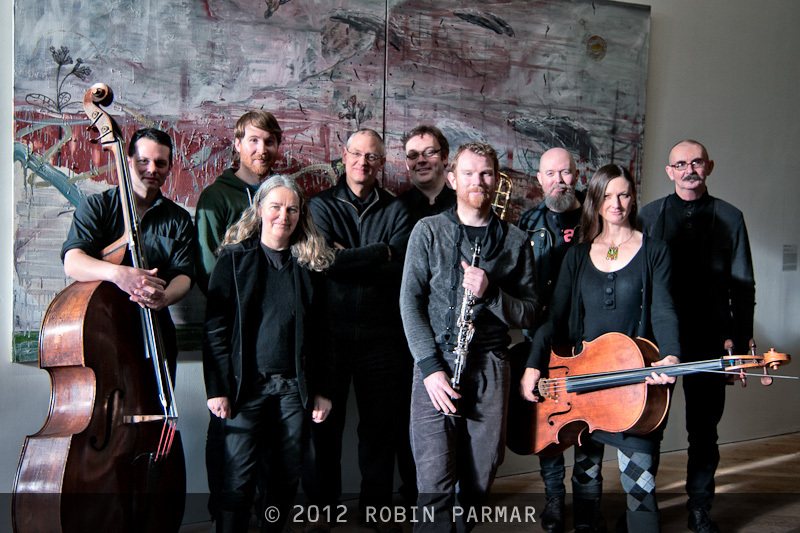 The evening was our Dublin showcase, and we had our newly released ‘The Mysteries Beyond Matter’ CD on sale. Available HERE. It has had brilliant reviews so far. I also began recording a new solo cello CD at Cork School of Music in amongst all this and on Monday will continue. We will be using the North Cathedral in Shandon, Cork for a couple of pieces. It has an incredibly resonant space which will really suit! So a big week, I might take an hour or two off before the next onslaught! Remember: Cello is a powerful thing. Listen wisely! This entry was posted in Events on June 26, 2015 by ilse. Living the Tradition Film U.K. Premiere! Very happy to announce the premiere of Living the Tradition in the U.K, in The Phoenix Picturehouse, Oxford on the 6th November. If you are anywhere near, do try to make it! email: team@livingthetradition.com to book a ticket. And don't forget to come and say hello on the night!! 19 August 2014: Hello from San Francisco. Just returned from Ireland on Aer Lingus and the 11 hour flight was made much less tedious when I found your film and wound up watching it twice…..really fine. 30 August 2014: I thoroughly enjoyed watching your documentary musical on board my trip connecting from Barcelona to the US, not ashamed to admit, to the point where it brought me to tears. I liked the nice solemn scenes and string segments, …(and)… this deep-voiced gentleman in a university who sings without any instrument, but just his plaintive, lilting voice first in Gaelic and then in English. …… I watched it over again more than once on the plane. 30 August 2014: Kudos to Ilse de Ziah for Living the Tradition, which I had the pleasure to experience on Aer Lingus from Dublin to Boston US. Remarkably moving arrangements and artistry (which came through despite the jet engine noise). This entry was posted in Events, Film on October 18, 2014 by ilse. 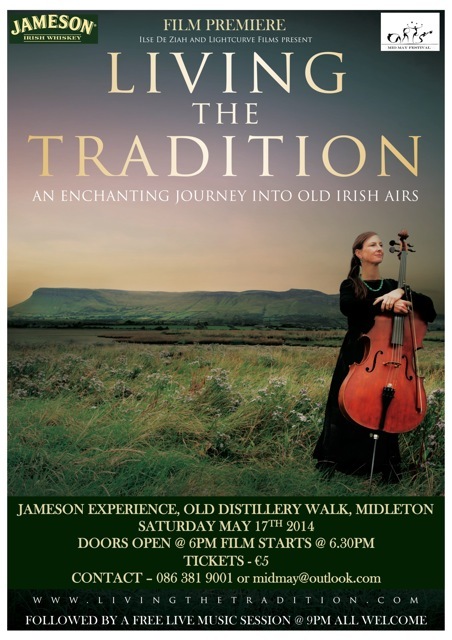 We are thrilled to announce the premiere and launch of Living the Tradition on the 17th May at 6.30. It will be shown in Midleton's Jameson distillery, Midleton, Co. Cork as the highlight event at a new festival in Midleton called Mid May Festival which celebrates arts in the community and the bringing together of artistic traditions past and present. Tickets are €5 There are a limited amount of seats in the venue, and it's selling out fast so do buy soon! email midmay@outlook.com or info@livingthetradition.com for ticket inquiries. 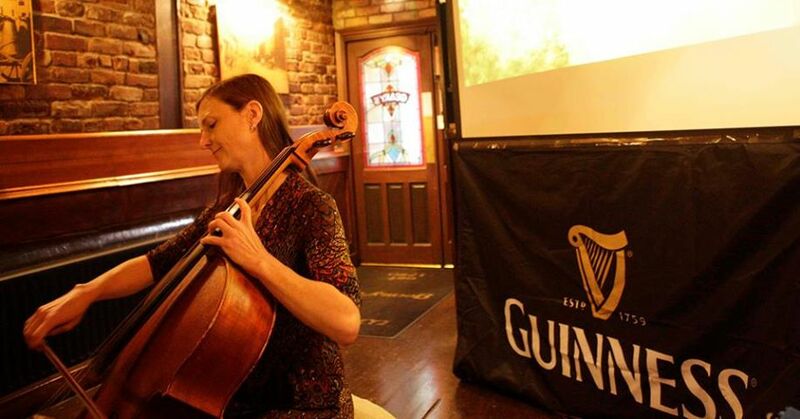 This entry was posted in Events, Film and tagged irish cello, Jameson, launch distillery, Living the tradition, whisky on May 7, 2014 by ilse. I'm very excited to get started on the funding process for the film myself and Maarten Roos are about to make, "Living the Tradition". This entry was posted in Events on May 31, 2013 by ilse. Also on the programme we played Four6, But what about the noise of crumpling paper and Ryanji, where I played the percussion part using the body of the cello and striking of the spike in unison, amplified to create an exciting yet funereal slow beat. This entry was posted in Concerts, Events, photos and tagged cello, Ilse de Ziah, Inlets, John Cage, lyric fm on January 29, 2012 by ilse. A welcome rock was erected at the entrance to the small East Cork Town of Carrigtwohill, and to celebrate, Tina Horan choreographed a dance for the lovely Eadin to my air Inch Strand. It was a beautiful setting sun. Later in the evening the community came together for the official unveiling with the local boys school choir, speeches, cups of tea, the dance, and little girls running around the rock to me playing a couple of reels…. Rock of Carrigtwohill from Ilse de Ziah on Vimeo. Music and dance performance. Cello by Ilse de Ziah. Original music ‘Inch Strand’ by Ilse de Ziah. Dancer: Eadin O’Mahony. Choreography by Tina Horan. Filmed and edited by Barry McCarthy. This entry was posted in Events, Video on November 29, 2011 by ilse. Played with the Cork Symphony Orchestra cellos for Brid's wedding. I arranged/composed this piece putting a piece from Mayo and one form Donegal together (where they hail from…) with a bit of rocking out at the end. We also played my arrangement of 7 nation army by white stripes and some Apocalyptica covers like Nothing Else Matters and Creeping Death. All in our gowns… Brid playing in her wedding dress was particularly challenging! This entry was posted in Events, Gigs, Video on June 1, 2011 by ilse.